Please note that if your are having this issue on your iPhone or iPad, please see this article. This articles explains what you can do when your Mac can’t connect to the Apple App Store and won’t download, install or update apps. See also: Cannot Send or Receive Messages on Your Mac? Why can’t my Mac connect to the App Store? Make sure that Apple Mac App Store servers is up and running. 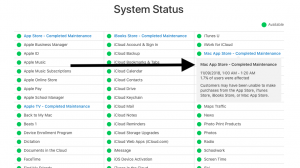 Go to the Apple’s System Status website and check. For instance, currently it is saying “Mac App Store – Completed Maintenance. 1.7% of users were affected. 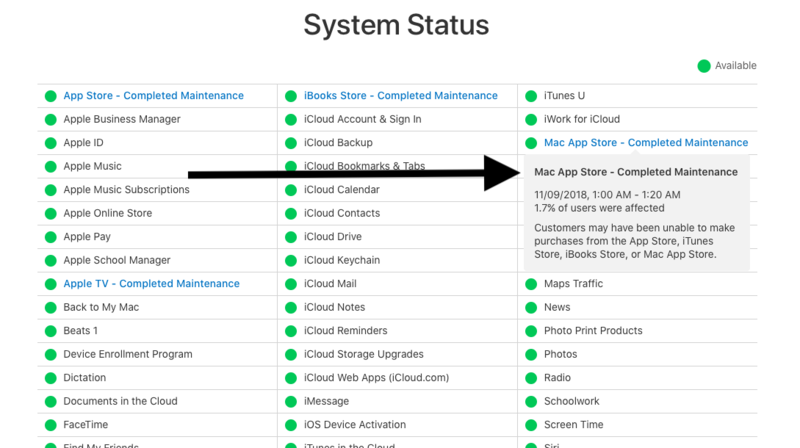 Customers may have been unable to make purchases from the App Store, iTunes Store, iBooks Store, or Mac App Store.” As you can see, Mac App Store was down for some users and but now it is fixed. If you do not see any problem, read on. Launch iTunes. From the top menu bar, click Account and then Sign out. After signing out, sign back in. Open the App Store on your Mac and then click Store (top menu bar) and click Sing Out and then sing back in. If you are using VPN or proxy to connect to the Internet, disable them to see if that fixes your problem. Update your Mac. If you are running macOS Mojave, go to System Preferences > Software Update and then click Check for Updates. If there is an update available, update the software on your Mac. On your Mac, make sure that the date and time settings are done correctly. 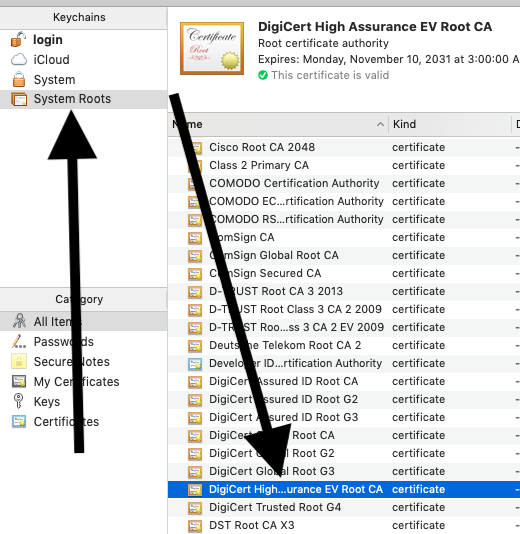 Go to System Preferences > Date & Time to check this. You may also want to check the box for “Set date and time automatically”. And then restart your Mac. If everything above fails you could contact Apple. Same Problem. Tried everything and can’t log in or connect to the App Store only on my Mac.